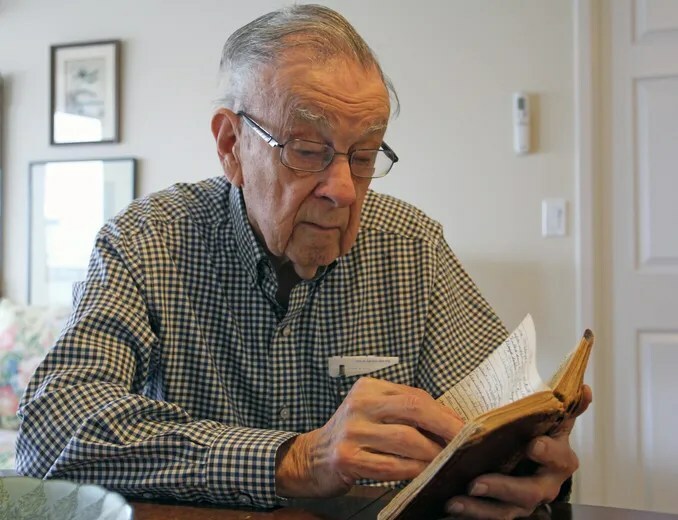 Bill Fitsell, at his home in Kingston on Saturday, reads the diary he wrote while serving in the Royal Canadian Navy during the Second World War. 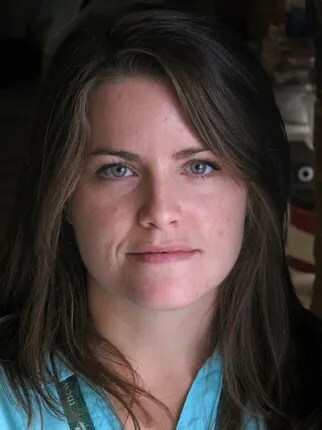 (Steph Crosier/The Whig-Standard). KINGSTON – On June 5, 1944, Bill Fitsell was in Wales with the crew of HMCS Outremont when he wrote in his diary that he could tell something was coming. For a 75-year-old paper diary that crossed the Atlantic Ocean with Fitsell four times during the war, it is in decent shape. It’s a little tattered, a little worn on the edges, but Fitsell knows its importance some day to his family when he is gone and keeps it in a zip-lock bag. Fitsell said his mother bought him the diary and he wrote in it religiously as a way to always remember. “Sometimes you can’t keep it all, a diary is a good way to remember even the small things,” Fitsell. On May 7, Fitsell will be remembering the Second World War further at the Anniversary of the Battle of the Atlantic parade alongside HMCS Cataraqui. This entry was posted in Battle of the Atlantic, news and tagged Battle of the Atlantic, news on May 7, 2017 by Michael K. Barbour.